How might you benefit from food sensitivity testing? We test 96 of the most common foods with a simple at home test. Post your results to our lab and receive a 20 minute phone consult with an Australia based naturopath who will explain your results and talk you through what to do next. Need more support? Talk to Jo about food sensitivity coaching packages. This is the simplist and most accurate food sensitivity test available! 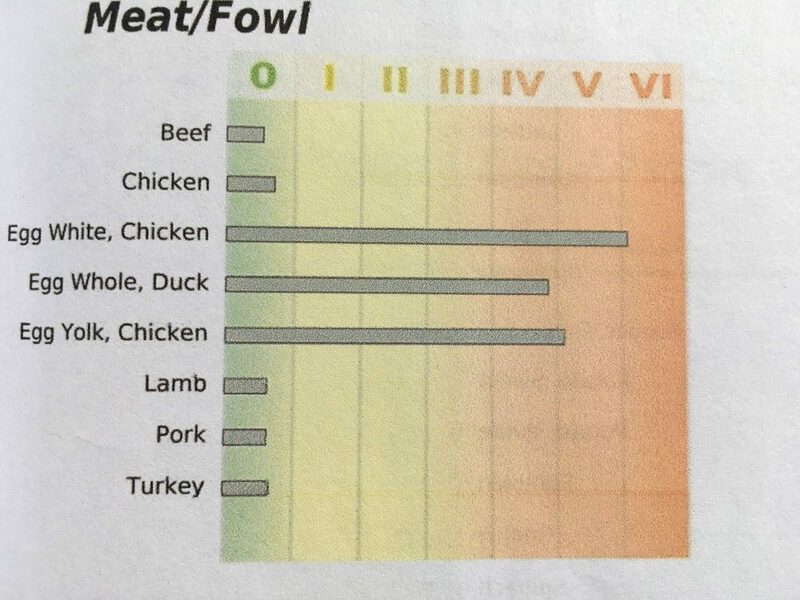 A Snap Shot of my food Sensitivity test. I had no idea I was highly sensitive to eggs! 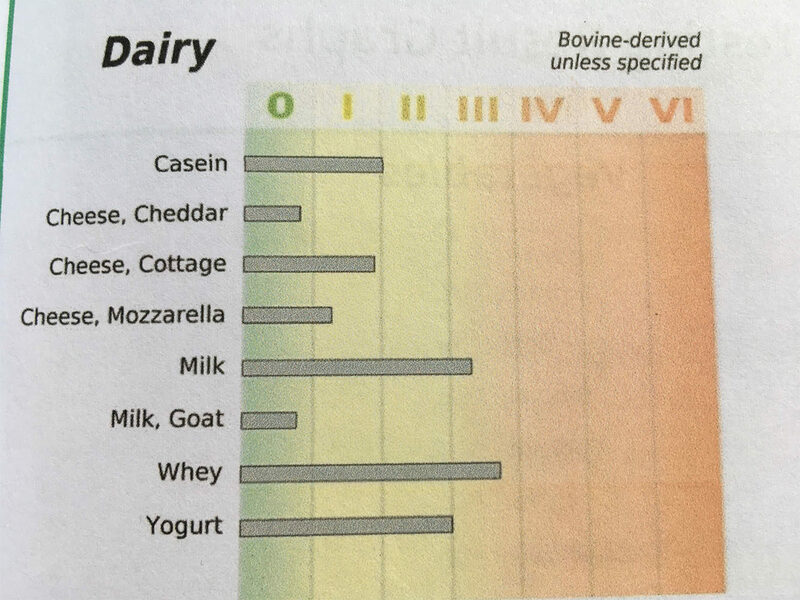 The Food sensitivity test showed that Milk, Yogurt and whey are irritants within my Body. Time for a break! What are the symptoms having a food sensitivity? If these symptoms are caused by a food sensitivity the best way to move your health forward is to definitively find out which food is causing the problem. Don’t waste time and effort eliminating foods that may or may not be the problem. Find out with our easy to complete home pin prick test and get the facts. It is hard to explain how good I have felt since doing the food sensitivity testing without using too many clichés. “Life changing” barely covers it. I was so used to how bad I was feeling, that I did not realise how good I could feel. I am no longer fatigued all the time. My eyes look brighter and my skin cleared up. I used to feel bloated a lot, and this had decreased dramatically. I’ve lost weight. My running friends and I all used to think that an upset stomach, aka “runners tummy” was a normal feeling, but I have since discovered that it is not. I just feel so much better. And the most exciting part is that I am finally able to do some really tough gym sessions again! I used to go into Kaizen and spend the whole time being corrected, but now there are usually only minor things to correct. The intensity of my sessions has been able to increase and I recover better from them.